Boarding at the world famous London Eye you and your canny crew will embark upon the most memorable RIB experience of your life. 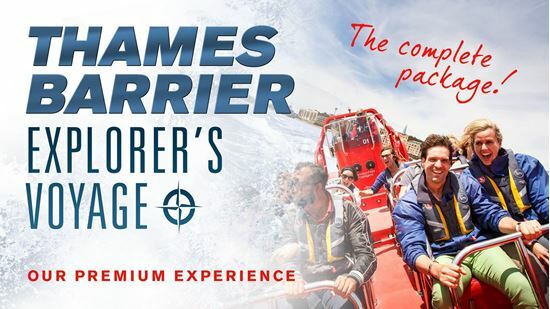 Firstly get comfy on the 12.5 metre fibreglass Rocket and then get ready to rock out and roll on to the river that has shaped 2000 years of horribly hilarious history! Alongside you every step of the way, our guides will be ensuring laughs are aplenty. They like nothing more than to surprise you with the most unusual stories and funniest events ever to take place along the river Thames (and most of what they say is true!). You see, as well as being top notch stand-up comics and actors, they are also secret history geeks. In short, they get a kick out of telling you the stories you weren’t taught in school. Once they’ve filled your head with a bit of light history, it’s time for the main event. Feel the engines roar and hold on to your hair-do’s as we prepare to take off! Feel the g’s as we propel you at 30 knots (35mph!) down the most famous waterway in the world – the river Thames! Twist and turn past Canary Wharf and onto maritime Greenwich. Our trademark Thames Rockets tunes will keep you dancing in your seats. Once past Greenwich enjoy the vista of the Thames Barrier loom into view and marvel at the 8th wonder of the world. Close your eyes, catch your breath and adjust your hair. You’re about to turn around and do it all again. Unquestionably suitable for anyone who knows what is good for them. This is an 80 minute London speedboat experience of pure adrenaline fuelled fun at 30 knots. This is the Thames Barrier Explorer’s Voyage. Are you ready? *Thames Barrier Explorer's Voyage trips are available Friday, Saturday and Sundays departing from the London Eye Pier. Give it a go, great experience, The boat starts slow until Wapping then the action starts. only trouble is, its over too soon. Friendly crew. very exciting. it is very recommended. we are a family with 3 children and we really enjoyed ourselves.